The 2020 Democratic presidential candidate told the audience at a Fox News town hall in Pennsylvania that his plan would ultimately save most Americans money because it would eliminate premiums, deductibles and co-pays, which cost a typical family of four $28,000 a year. Health care is dominating the debate of the 2020 election, with Democrats divided over whether to aim high with Medicare for All or take a more moderate approach. Meanwhile, President Donald Trump and Republicans say the universal health care concept is too expensive and would undermine the current Medicare program for senior citizens. Sanders hasn’t provided a comprehensive analysis of how much the plan — which he reintroduced last week with expanded long-term care benefits that will add to the price tag — will cost or how how he will pay for it. Analyses conducted by different think tanks on his previous proposals suggest the price tag could be as much as $32 trillion over 10 years. The Committee for a Responsible Federal Budget looked at the plan Sanders unveiled during the 2016 presidential campaign, which included an array of taxes on the rich and on all Americans. 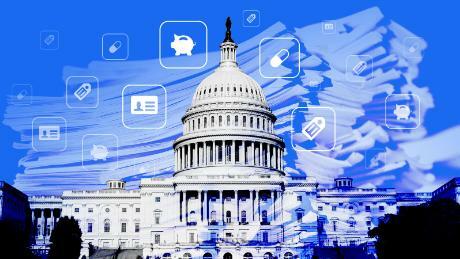 The proposal would cost $25 trillion over a decade, but only raise $11 trillion in taxes, said Marc Goldwein, senior policy director at the committee. “His plan still doesn’t add up,” Goldwein said in an interview with CNN. The other main Medicare for All bill — a very similar effort sponsored by Rep. Pramila Jayapal, a Democrat from Washington, in February — also lacks a financing plan. Neither are expected to get far in the current Congress. Other proposals to expand Medicare to younger Americans or add a government-run plan to the Affordable Care Act exchanges would largely be paid for through premiums, like current insurance plans are. In his rollout this month, Sanders provided a list of potential revenue-raising options, including new levies — which he calls “income-based premiums” — on people and on employers. Americans would pay 4% of their income, exempting the first $29,000 for a family of four. Companies would be charged 7.5% of payroll, exempting the first $2 million to protect small businesses. These are higher amounts than what Sanders proposed during his 2016 presidential run. At that time, he called for a new 2.2% income tax on all Americans and a 6.2% levy on employers to pay for Medicare for All. Sanders, however, would also hike taxes on the rich. He wants to increase the top income tax rate to 70% for those making above $10 million, raise rates on unearned income, such as capital gains, and limit tax deductions for those in the top tax bracket. Plus, he would establish a tax on “extreme wealth,” and raise the top estate tax rate to 77% on inheritances above $1 billion. He would also impose a fee on large financial institutions. 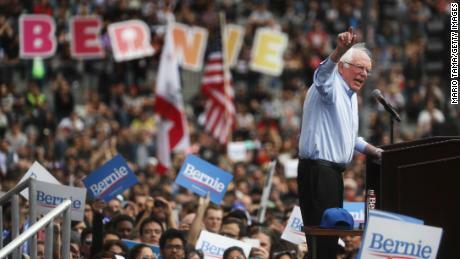 A Sanders spokesman did not immediately return a request for comment. Tax experts, however, say that you can’t raise enough money from taxing the rich and that the levies on all Americans may exceed the savings for more people than Sanders expects. This may be particularly true of low-income folks who get heavily subsidized coverage on the Obamacare exchanges.